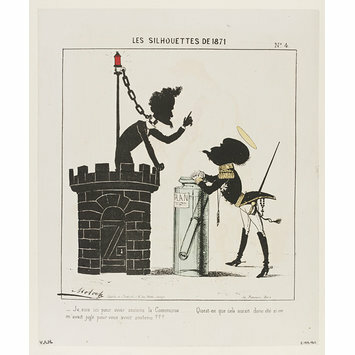 Print depicting two silhouetted men, one of whom is standing on a tower, a chain round his neck. The other man is a Prussian soldier, probably Count Otto von Bismarck, and is leaning on a jar containing a roll of paper. Print from a set of caricatures, broadsheets and illustrations in ten volumes. Each volume is half-bound in red leather, gold tooled and stamped with imperial emblems, title etc. 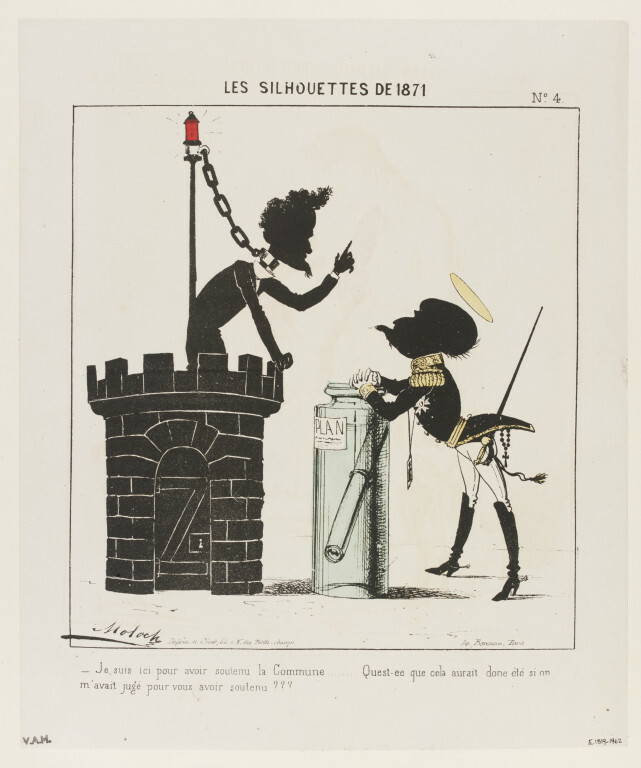 'Je suis ici pour avoir souienu la Commune...' Satirical illustration by B. Colomb ('Moloch') depicting two silhouetted men, one of whom is standing on a tower. Hand-coloured lithograph, France, 1871.